A community is only as strong as the people who build it up. On January 7, 2018, the City of Kitchener recognized some of its outstanding “city builders”: citizens committed to making their community a better place today and in the future. One of those recognized was longtime World Partnership Walk volunteer Basheer Habib. Basheer has been part of World Partnership Walk for the past 26 years, and continues to offer his guidance to the annual event. In Kitchener, the Walk brings together nearly 1,000 people to learn more about international development and the role they can play locally as global citizens. Through his philanthropic work, Basheer has inspired many to be active members in the community. “For over 40 years, Basheer has been a real contributor to the city of Kitchener and its people,” says Karim Mushani, Chair of World Partnership Walk Kitchener-Waterloo. 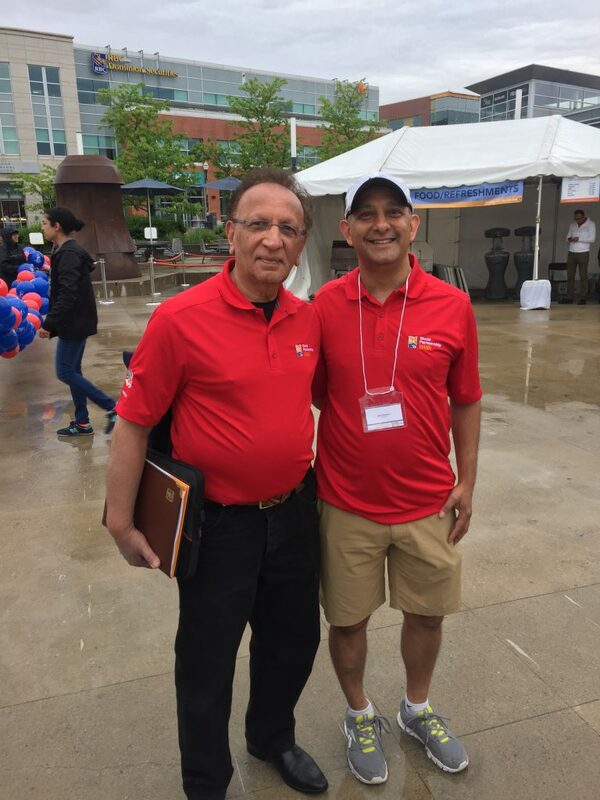 Basheer with World Partnership Walk Kitchener-Waterloo Chair Karim Mushani. Beyond World Partnership Walk, Basheer has also been involved in numerous community organizations, including: Canadian International Council, Aga Khan Council for Ontario, Aga Khan District Administrative Committee, St. Mary’s General Hospital Foundation, Junior Achievement, and Waterloo Region Walks. Basheer also played an integral role in bringing Aga Khan Foundation Canada’s Bridges That Unite exhibition to The Children’s Museum in Kitchener in 2009. 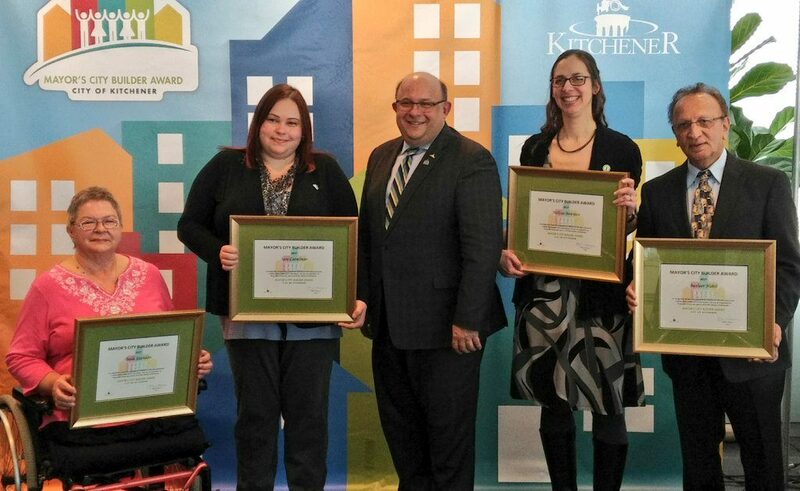 Basheer (far right) with Mayor Berry Vrbanovic (centre) and the other recipients of the 2018 Mayor’s City Builder’s Award in Kitchener. JOIN CANADA’S LARGEST MOVEMENT TO FIGHT GLOBAL POVERTY! We’re recruiting for our 2018 World Partnership Walk volunteer city teams. Join thousands of passionate volunteers across Canada, and help change the world.